How sessions are like a ballet performance. Next week I’m heading to Connecticut to see my beautiful little niece perform in a ballet recital (yes, this is a picture of her, isn’t she sweet?). When I was her age I was also a little ballerina and had to perform in recitals such as this. As you can imagine, I am thrilled to see her dance. Watching kids in any kind of performance is a great reminder that we as adults take ourselves way too seriously. I remember performing in my own little ballet recitals as a child and I have to admit, I think I was more excited to wear my costume than I was nervous to dance in front of everyone. Kids just have no inhibitions. I’ve seen them at Ceilidhs and they are the first out on the dance floor moving their bodies to the music in any way they know how. We don’t do that as adults. What if we look silly? My gosh, the world might end. Though a session is not technically a performance, it can be a little nerve-wracking to start a tune in front of your peers and the people listening in the bar. (Gone are the days of those carefree ballet performances). I mean what if no one else knows the tune and you have to play it solo? Or what if you totally forget what tune you were going to play after it and you flub it up? Oh my gosh, the world might end. Yes, I’m being a little sarcastic. I mean really, in the whole scheme of things if you screw it up, who cares? I have started tunes that no one knows, I’ve started tunes that I didn’t fully know myself and I have also felt the stress of “crap, what tune do I play next.” Sometimes I even start a tune and those first few notes are so out of tune it’s painful. But I get through it. And so will you. The great thing about live music and performances, is there is always a chance that someone is going to make a mistake. It’s how you deal with it that’s important. And isn’t that what is so endearing about a kid’s ballet recital? I remember once the late Jerry Holland, was playing a concert and he counted his own mistakes throughout the performance. This is a man who literally wrote the book on Cape Breton music and yet he made mistakes on tunes that he himself wrote. The world didn’t end, he just proved that he was human and he made the best of it. It certainly didn’t mean he was a bad fiddler. So if you’re sitting there in a session, and there is that lull between tunes, grab the courage to start that favorite tune of yours. 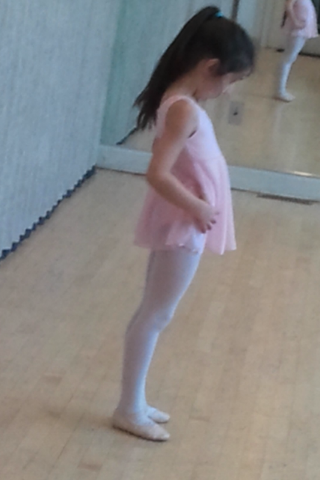 Think of my little niece who is just excited to dance in her pink outfit. Chances are you might screw it up, or no one else might know the tune. There is a chance however, that it will all work out great though. Either way, you’re among friends and the more you do it the easier it gets.